enjoyment.Feel free to use it in your mods as long as you give me credit. my own and I like how it turned out. I don't know whats going on. But I can't download it. can you email it to me? It looks cool. Never mind, I rebooted my computer and got it now. Are there any Mods out there to delete my 2 posts? Could the huge 769 memory on the file cause it? Is it compressed or uncompressed? I forgot how to check this. Yes, I'm a modder. I've made 6 mods from srcatch(except sods and textures) into my game. I make wireframes and build buttons. I admit sods and textures are my weak spot. I however have done something like what you did. I cut and pasted a common picture of a cube ship into the Cube texture. I got a weird reaction. Up close it looks just like the picture (cool). but as I move away it fades. When I get far enough away, the texture fades to black leaving only the lights(also a little cool) but it is unbalanced. That's why I downloaded yours I figured yours would fix it. I did some experiments after this happened. I opened yours,did select all, copy, then opened mine and hit paste, but yours was much bigger then mine(mine is the normal game size). I didn't save it because I want to keep mine(I'll back it up and try again). To continue, I open the main assimilator texture and pasted yours over it. It looks cool. it gives the ship a darker look(more real). You should try it. I've never messed with the compressed or uncompressed files. I seen it before but don't remember how to get to that point. I have pro paint 7. 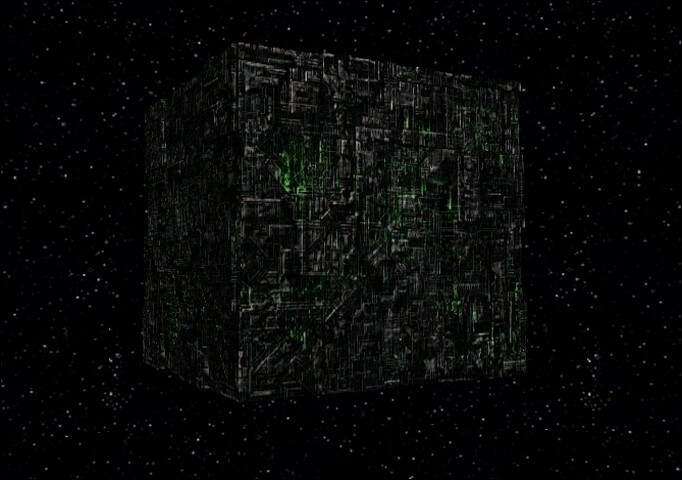 Okay,I dont have the stock borg cube anymore but maby if you resize to make it smaller,the same size as the stock cube texture then it should work, I now remember cause if your replacing a texture with another then they need to be the same size, so just resize it to the sock size then replace the texture. Any idea how to resize that texture?